Is it time to add a customer reference program to your marketing plan? When it comes to choosing the components of your marketing plan, return on investment is an important consideration. If you’re like most marketers, trying to do more, with less, you’re likely looking for options that will deliver the highest return on your marketing spend, while checking off a few other boxes for your organization as well. For many tech and healthcare companies, customer reference marketing represents one of the best and most cost-effective ways to create awareness and build credibility with prospects.With the waning credibility of many traditional promotional tools, like ads or direct mail, prospects are more likely to tune into the voices of customers, who, like them, were seeking an answer to a problem or a way to capitalize on an opportunity, and found it in a product or solution. In addition to presenting the experiences and insights of your customers, and highlighting the ways that they benefit from your solutions, reference marketing also carries another subtle, but compelling message: these customers like your solutions so much that they want to be publicly linked with your organization. This aspect of customer reference marketing offers a powerful way to strengthen relationships with your current customers. By tying in to the attachment that a customer feels to the brand and to the organization behind it, it’s possible to move them up the loyalty ladder. As they progress from a being a simple commodity buyer to participating in product development, maybe even progressing to sharing in R&D or other collaborations, the relationship becomes stronger and stronger, and offers valuable benefits to both sides. The many ways that you can use the material from a reference case helps to maximize the marketing investment. Once you’ve interviewed and photographed your customer, and gotten their sign-off on a reference case, you can use portions on your website, in brochures, in ads, in press releases, sales presentations, and more, all in addition to promoting the case in its entirety. In fact, using customer references at every step in the sales cycle not only makes presentations a lot more relatable, it also significantly boosts success rates and sales. Are you ready to add reference marketing to your marketing plan? 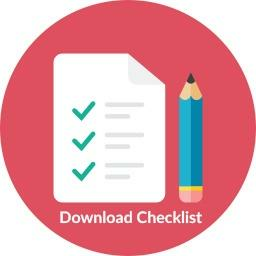 Click below for a Checklist of points to consider before launching your program.